Cosmic Wisdom Sharing Foundation was established in memory of Capt. 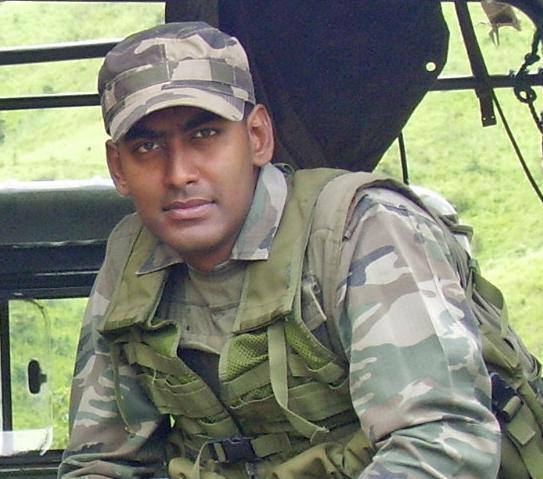 Sameer Roy Choudhury of the Indian Army. Cosmic Wisdom Sharing Foundation is a Not for Profit Organization. CWSF believes that every soul manifests its own healing. Learning is offered on varied topics through private sessions, workshops/retreats & mentoring. These are in depth and experiential classes, aimed to empower individuals to know, understand, accept their issues & heal themselves. These events are conducted in India and abroad. ‘Soul Space’ at CWSF anchors a safe environment where an individual is guided with compassion; unconditional and emphatic support on his/her Journey to Holistic Healing.It is in here at CWSF that life stories are voiced fearlessly. Soul space is held for the Client as they journey safely to the core of their deepest fear and trauma. The client emerges Empowered with greater understanding, hope & healing. We extend our welcome to those who want to explore their own Soul Journey and Purpose. Individuals looking to improve the quality of their health, relationships, parenting, career and lifestyle, find CWSF to be a preferred resource. CWSF offers various programmes to private/ public organizations and individuals. Please see our Services Offered Section. We offer holistic enquiry and healing facilitation to rehabilitation centers and individuals abusing substance. All kinds of Addictions can be safely worked upon and released at CWSF’s Soul Space. Victims of abuse find CWSF a safe haven of deep understanding and unconditional positive regard, helping them to release trauma and heal themselves. Individuals with marital & sexual issues are provided a safe, positive and non-judgmental environment to work on their areas of concern. CWSF brings to parents and teachers dynamic Parenting and Child Nurturing skills seamlessly blended in Ancient, Traditional and New Age wisdom. Children, teenagers and young adults are guided to find inner peace, joy and stability through meditation, play, music, art, dance, stories and role plays. They are taught to develop and maintain qualities of inner belief, fearlessness, trust and acceptance of self, leading to alignment with their own inherent ‘Soul Wisdom’. Special modules have been created to deal with PTSD and related issues for Defense & Police Personnel. Healing services are offered using ancient Shamanic & Tao approaches. We offer workshops to couples and individuals who wish to explore and achieve deeper levels of relationship and intimacy. Experiential learning and exercises are woven together in ancient Tantra & mystical science based approaches. Communication with the Spirit World and Entity Release Therapy is done through Channeling and other holistic methods. We offer workshops all over India and abroad. If you desire a work shop to be hosted in your town or city please contact us.